For those who really want to get a taste of the Tico lifestyle and away from tourist traps, here are a few up and coming San José sights and activities for the experienced planner. While San José is most known for its collection of museums and local markets, these places can be swarming with tourists and, at times, daunting to visit with large groups. Furthermore, student group planners who are already experienced with the city’s most popular sights and attractions may be looking for more off the beaten path activities in which to partake. From breathtaking river valleys to locally kept secret neighborhoods, there are a number of up and coming sights and activities for student groups visiting San José. Green Fair of Aranjuez. Credit. An up and coming market, the Green Fair of Aranjuez (Feria Verde de Aranjuez) is a Saturday organic farmer’s market in San José’s Aranjuez neighborhood. In 2008, a group of like-minded individuals from different backgrounds united with the idea to create a space specifically designed for the exchange of ideas, actions, products and foods, with the goal of supporting sustainable lifestyles in San José. In 2010, the Green Fair of Aranjuez was inaugurated on Costa Rica’s official Agriculture Day (Día del Agricultor en Costa Rica). Today, the market is a place for people of all backgrounds to come and make new connections in a healthy and friendly environment. With products such as organic coffee, artisanal chocolate, tropical fruit, fresh produce, leather and jewelry, the Green Fair offers student groups an excellent way to spend a Saturday morning strolling up and down the booths of this popular San José market. The Green Fair of Aranjuez is open Saturdays from 7:00 a.m. to 12:30 p.m., so make sure to get an early start. The market is located within Parque Polideportivo Aranjuez and can be reached by taking the city’s public train to Atlantic Railroad Station. For nature lovers looking to escape the city, take your student group on a trip to Costa Rica’s most picturesque valley, Orosi River Valley (El Valle del Rio Orosi). Located 37 miles southeast of San José in the province of Cartago, Orosi River Valley was named after a Huetar Indian chief who ruled the region before Spanish colonization. As one of the few regions in the colonial period that survived frequent earthquakes, Orosi River Valley is now known for its mountain vistas and features a lake formed by a hydroelectric facility, a wild national park and a plethora of coffee plantations. On a trip to this stunning valley, student groups can indulge in the area’s natural hot springs or visit Costa Rica’s oldest church dating back to 1699, Iglesia de San Jose de Orosi, another hidden gem off the beaten path. To reach Orosi River Valley, groups should take San José’s Tren Urbano from Plaza Viquez to Atlantic Railroad Station, then take the Train Interurbano Cartago to Cartago Urban Train Station. Younger teenage student groups will adore San José’s trendiest up and coming neighborhood, Barrio Escalante. This former residential enclave is now swarming with restaurants, cafes, bakeries and bars. This chic neighborhood is dedicated to sharing the best Costa Rican and international gastronomy, from artisanal Costa Rican dishes and Mediterranean flavors to vegetarian and fusion entrees. 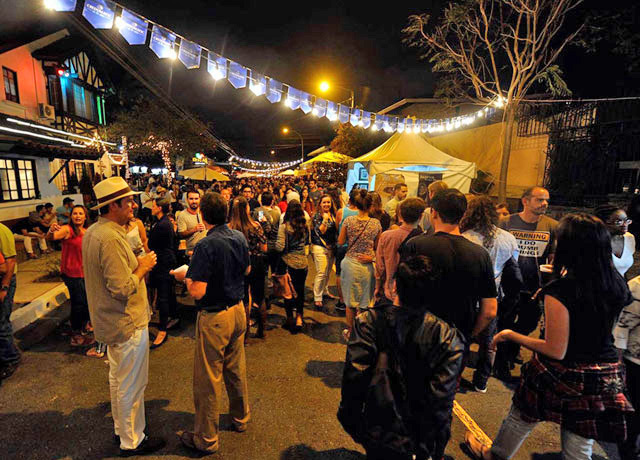 Calle 33, the neighborhood’s culinary hub otherwise known as El Paseo Gastronómico La Luz, is home to Festival La Luz events several times throughout the year. More than 40 different food stands and trucks set up to showcase their most appetizing grubs, all focusing on a specific theme. Previous themes have included Costa Rican, Italian and Mexican cuisine. Posters and newspaper advertisements will tell student groups when these festivals are happening, so keep an eye out for an opportunity to catch one of these supreme local events. 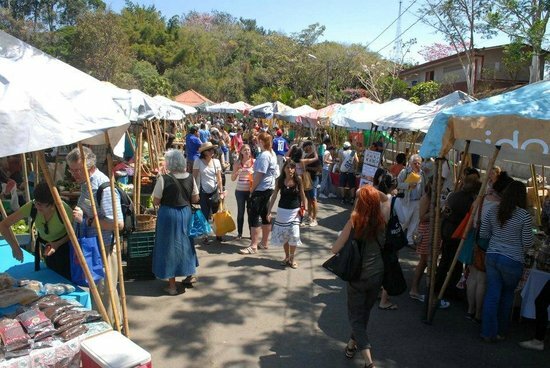 Besides culinary events, Barrio Escalante is lined with shops selling locally designed objects and artisanal products. To get to Barrio Escalante, student groups can take the Tren Urbano to Atlantic Railroad Station or Ambos Mares. Costa Rican Science and Culture Center. Credit. Although it is a more popular and prominent San José activity, a visit to the Children’s Museum (Museo de los Niños) is a must for younger student groups. 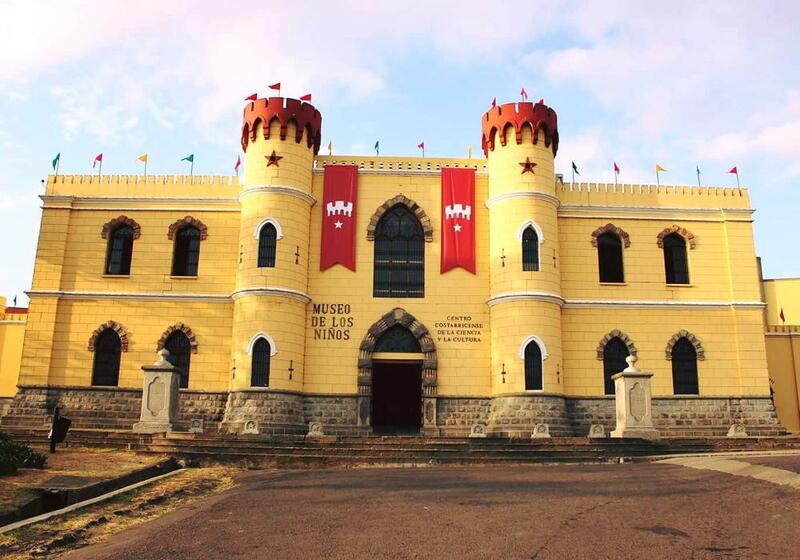 Currently located at the Costa Rican Science and Culture Center, the museum was originally situated in San José’s old military prison, Central Penitentiary. After closing its doors in 1979, the museum reopened 15 years later in 1994 with the vision of developing a center promoting knowledge, science, entertainment and culture. The museum aims to become one of the largest educational, cultural and artistic institutions in the country through participation, engagement and collaboration. With 40 interactive rooms and exhibits, the Children’s Museum provides cooperative fun experiences in topics such as astronomy, the natural planet, ecology, electricity, animals and everyday life in Costa Rica. It is an ideal place for children and adults alike to explore, play, discover and learn together. Some of the museum’s most popular activities are its funhouse and earthquake simulator. Housing around 296,000 visitors per year, San José’s Children’s Museum is open Tuesday to Friday from 8:00 a.m. to 4:30 p.m. and Saturdays and Sundays from 9:30 a.m. to 5:00 p.m.
National Craft Market . Credit. Typical Costa Rican souvenirs line the streets at San José’s National Craft Market (Mercado Nacional de Artesanias). Located just across Plaza de la Democracia from the National Museum of Costa Rica, this colorful maze of stalls sells everything from handcrafted jewelry, elaborate woodwork and Guatemalan sarongs to classic souvenirs such as T-shirts, coffee, mugs and trinkets. 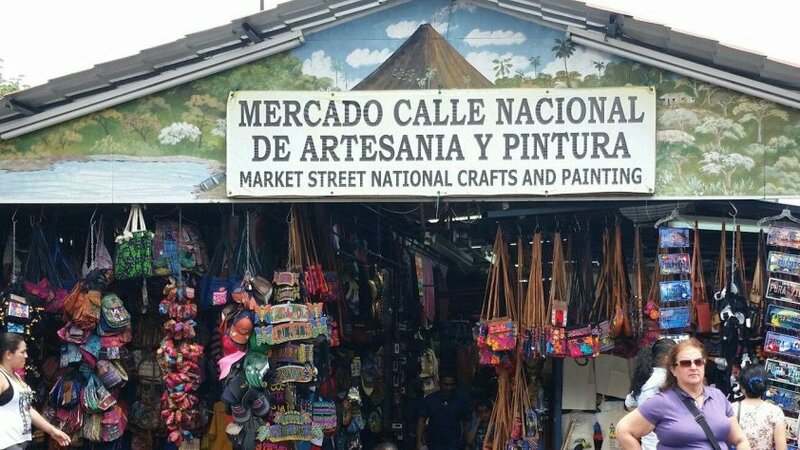 An open-air market specifically designed for Costa Rican artisans, National Craft Market features quality products handcrafted within the country, with proceeds supporting the work of national artists. Within the market, student groups will stumble upon paintings, sculptures, ceramics, textiles, leather and beadwork. Arguably the most exciting part about visiting the National Craft Market is haggling with the artisans and sellers. Bargaining at the market is expected and provides student groups experience with negotiating. Students will leave the market with handfuls of souvenirs for the whole family without breaking their piggy banks. The National Craft Market is open daily from 8:00 a.m. to 8:00 p.m.